At 8-months-old the average baby weights about 19lbs. 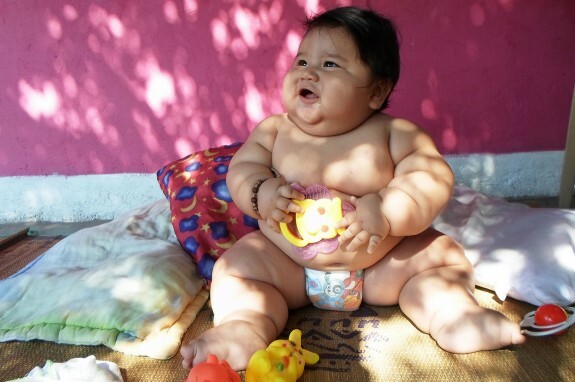 Named Columbia’s fattest baby, Santiago Mendoza weighs more than double that. In fact, at eight months old he already weighs the same as a six-year-old child. In an attempt to turn his health around the baby has been taken from his mom by a charity who will begin emergency treatment. Mother Eunice Fandiño admitted she made some mistakes where her son’s health is concerned. Not knowing what else to do she would give him food or milk to calm him down if he cried. “He was born with an anxiety so if he cried I just fed him,” she said, adding that she was virtually a prisoner in her home because the baby was too heavy to take out. Looking for some assistance, Eunice contacted the volunteers from Medellin-based Chubby Hearts foundation. The baby is said to have suffered medical complications due to his weight and has needed to be hospitalized several times. On Sunday Santiago was flown from his home in Colombia’s north-eastern city of Valledupar to the capital Bogota. 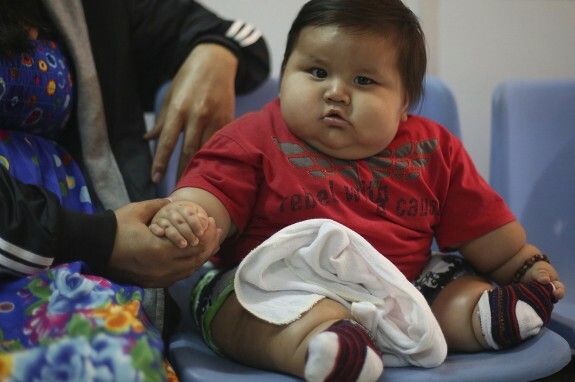 Chubby Hearts director Salvador Palacio González said Santiago would be evaluated by specialists at Bogota’s Colina Clinic. They would try to bring his weight down then embark on a series of operations. 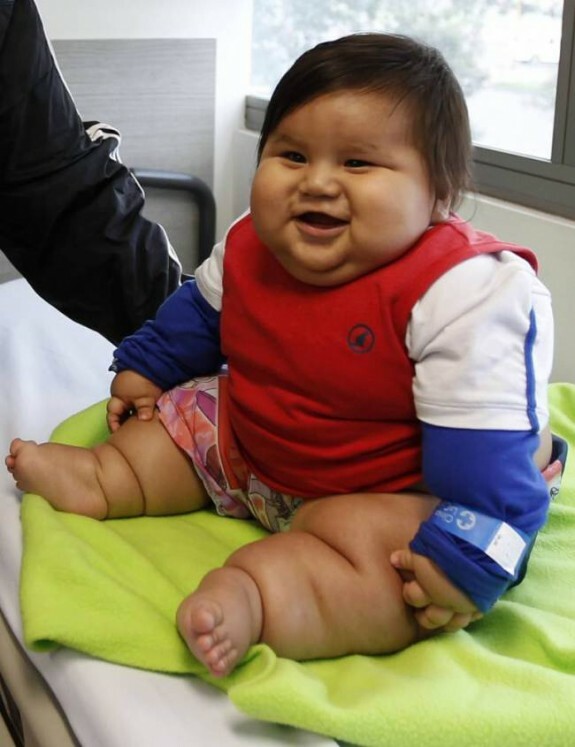 “What he will need is a long-term treatment, education, healthy food, and when he is older physical activity,” surgeon Cesar Ernesto Guevar told Colombian newspaper El Espectador. Eunice is hopeful her son will get the help he needs and promises to follow the instructions of her son’s doctors.